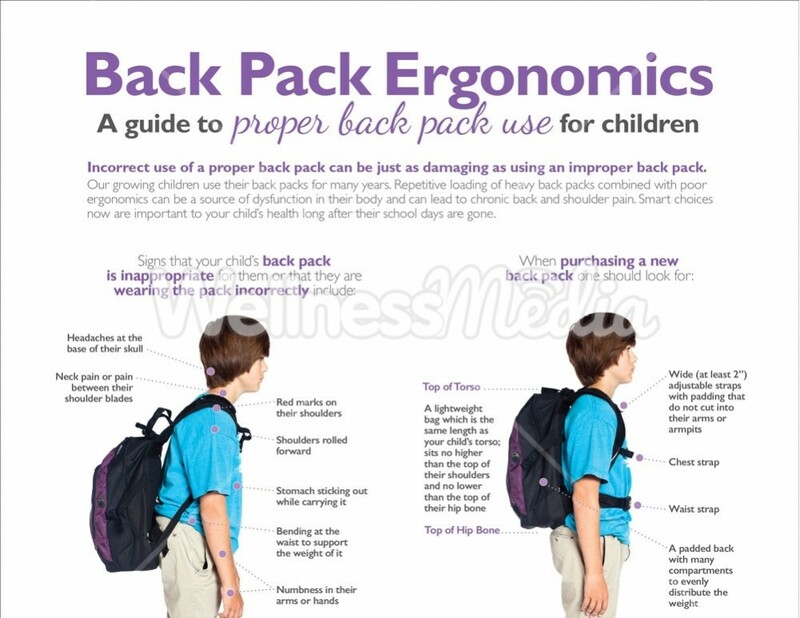 This chiropractic handout focuses on proper vs. improper back pack ergonomics, demonstrating proper usage and providing informative tips for parents and children in your practice to use this school year. 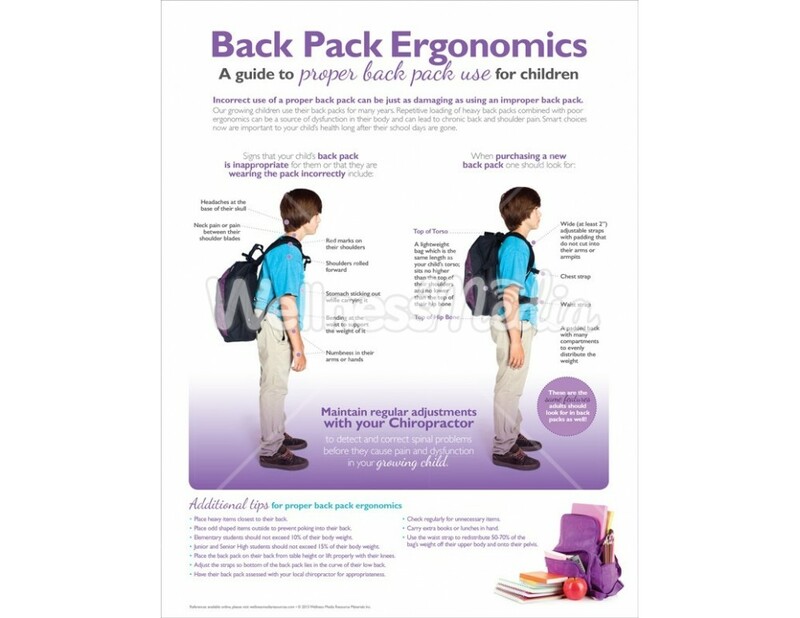 This handout is also available as an 18" x 24" poster. 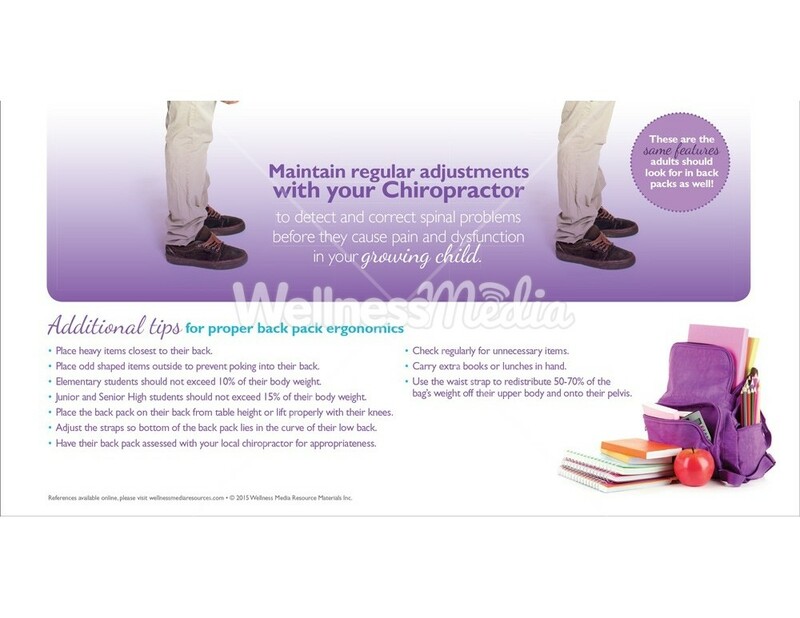 This handout is part of our back to school starter package and back to school premium package.